The state of Illinois is considering a massive issuance of bonds to finance its burden of pension liabilities, a move seen by market participants as pushing the state closer to bankruptcy. Kristian Rouz — Illinois state lawmakers are seeking a solution to its massive pension system crisis, characterized by the declining funding ratios and rising debt. The state's General Assembly proposed a solution to address the $129-billion debt issues by selling $109 bln worth of bonds in order to raise funding for the pension system, which might pose a threat to Illinois's financial stability, as the state's credit rating is only one-notch above junk. 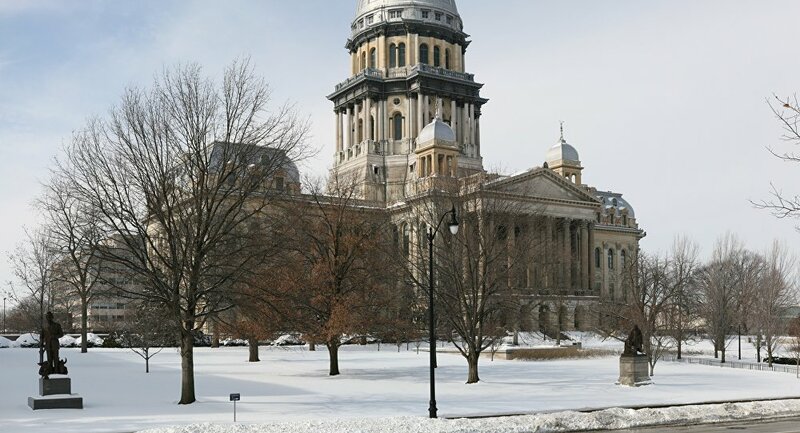 The Illinois General Assembly's Personnel and Pensions Committee is assuming the state can collect additional revenue from its investment, which will exceed its spending on bond interest payments. Such an assumption appears to be far-fetched, as the state's economy is struggling due to excessive regulation, and stifling taxation, suppressing business sentiment to its lowest in many decades. "We're in a situation in Illinois where our pension debt is just crushing," State Rep. Robert Martwick, a Democrat, and committee chair, said. "When you have the largest pension debt in the world, you probably ought to be thinking big." Decades of unionization and leftist economic experimentation have left Illinois with a highly-monopolized economy, where the prospects of private-sector expansion and a growth in state tax revenues are severely limited. A bond issuance appears to be the only feasible short-term solution aimed at preventing a collapse in Illinois's pension system, but it also might undermine the state's credit rating, which could subsequently slide to "junk". This comes as Illinois's pension funding ratio slid to an alarming 37.6 percent, whilst the unpaid vendor backlog hit $16 bln. The state is also suffering the crippling consequences of a massive flight of capital and population, with one resident leaving Illinois every 4.3 minutes last year. Illinois's proposed $109-billion bond sale would be the largest debt security offering in the history of the municipal debt market, and it will amount at some 50 percent of impoverished Puerto Rico's debt liabilities — causing severe economic consequences for the US territory. State Democrat lawmakers also say they are unable to fundamentally fix the dysfunctional system anytime soon, blaming the upcoming election. "Can you get anything done in an election year?" State Rep. Martwick said. "Maybe that's the problem." Illinois also can't cut its enormous social spending due to a state Supreme Court decision, which prohibits taking away welfare benefits from recipients once they've enrolled in one of the state-sponsored plans. "I think the decision is crystal clear," State Rep. Martwick said. "Most of my Republican colleagues believe it is crystal clear." Other state and local governments also sold debt securities in the past to fund their pension liabilities, although on a smaller scale. Back in 2005-2006, a similar scheme implemented by another Democrat-run town, Detroit, helped push it into the abyss of bankruptcy — from which the Motor City has yet to fully recover. "Those types of deals are not typically positively received by the rating agencies or investors," Eric Friedland of Jersey City, N. J.-based Lord Abbett said. "That type of issuance could definitely be a credit negative." Last July, Illinois issued some $26.3 bln general-obligation bonds for the same purpose, and the state still has some $8 bln in unpaid bills. "I think the ideas and concepts make sense," State Rep. Martwick said. "We are going to pay our pensions one way or another. The only question is how does the rising pension obligation affect our ability to fund all of the other things we care about." Experts say additional borrowing could undermine Illinois's borrowing prospects, and even result in the state's bankruptcy, which could be more dramatic than that in Detroit. EU Officials' Pensions, Greek Hotels, Free Rail Passes: What Will Brexit Divorce Bill Cover? This "will not go over well in the bond market,'' Richard Ciccarone of Merritt Research Services said. "It absolutely increases default risk. There's no cushion." This comes as investors don't believe the state can enjoy a sustainable increase in revenues despite actively investing over the past years, as Illinois's economy has been steadily losing productivity and output capacity since the Great Recession.